EAGLES OF DEATH METAL‘S JESSE HUGHES (BOOTS ELECTRIC) BECOMES…. 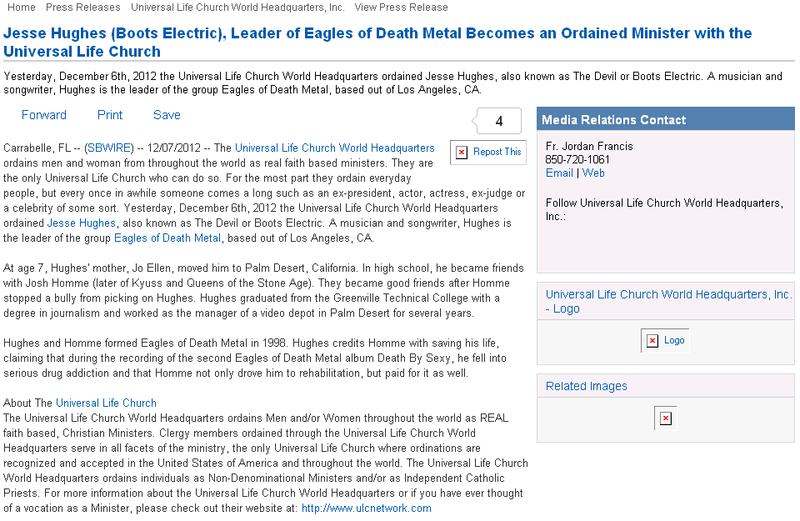 On Dec. 6, 2012, Jesse Hughes, aka Boots Electric, leader of the Los Angeles-based rock band Eagles of Death Metal, was ordained as a minster by the Universal Life Church World Headquarters. 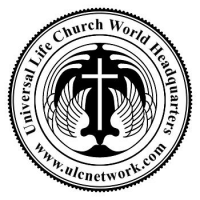 The ULC World Headquarters ordains men and women from all over the world as non-denominational ministers. Hughes considers his ordination the next logical step in living his faith, and an opportunity to serve a larger community of believers while simultaneously pursuing his career as a musician. Click on the image below to read the full article!